The Museum of Brands, in London, is the world’s only museum entirely dedicated to well-loved, memorable brands. Set in the context of culture and lifestyle, it explores how people and their lives have been shaped by the products and brands around them, and vice versa. Shell has become a founding sponsor at the Museum of Brands. As part of this sponsorship, we now have a dedicated exhibition space, including a digital interactive experience that invites visitors to control the content, allowing them to explore the Shell brand story. The interactive exhibit showcases a number of different themes such as ‘Motorsport’, ‘Building The Brand’ and ‘Innovating In Energy’. Through these stories, we start to illustrate the rich history of the Shell brand, how it has shaped moments of human progress throughout history, and how we strive to do so into the future. You can also catch an exclusive glimpse of original campaigns, adverts and films which give you a sense of the Shell brand, business and how we have communicated with our customers and partners around the world over the years. The Museum’s ‘Time Tunnel’ shows how everyday lives have changed over the past 200 years through the evolution of brands. See if you can spot the Shell postcards, posters and artefacts, showing how we’ve connected with our customers over the years. Having been inspired by iconic and innovative brands in the museum, visitors are then given the chance to learn some brand theory, and create their own branded product using the interactive Brand ID experience within the exhibit. Visitors can choose from a range of products, from chocolate to headphones and put essential branding principles into practice to create and personalise their very own brand which they can then take away as a digital souvenir. Tickets purchased on the door. Sign up to the newsletters below to find out what’s on at the museum including their professional development programme. This short video provides an overview of the history of the Shell brand and communications over the last century. The film elaborates on the various ways in which the Shell brand has been expressed in advertising, experiential initiatives, and music, to name a few. Historical black and white footage appears, showing a man in a car at a Shell filling station in the 1950s, having his car filled with petrol by an attendant. Historical black and white footage appears, showing footage of a filling station and a woman receiving a home delivery. Historical footage of the Pecten at its inception and throughout history. The footage shows the Pecten both on its own and in situ within advertisements and around the world. Over the last 100 years our logo and visual identity have evolved and moved with the times while remaining instantly recognizable as Shell. Series of images and footage of historical Shell advertisements and postcards. Our advertisements, postcards and films captured the spirit of the age and helped us to connect with our customers on a more emotional level that expressed our values of being positive, warm and human. Historical footage from the 1960s shows a car driving around a curve with on-screen text reading ‘1 Gallon of Shell Economy’. This is followed by an interview between the man that was driving the car and an interviewer standing outside the car holding a microphone. Our brand has always encouraged travel and exploration, innovation and bright new horizons. Modern day footage featuring Shell innovators and children showcases Shell innovations around the world today, followed by historical black and white footage of past Shell innovations and advertisements. But above all, we’ve evolved with the needs of our customers, as a business and as a brand. Footage of sheet music appears on screen, followed by footage of the ‘Sound of Shell’ being recorded in Abby Road Studios. This features a conductor in the center of the room, surround by a full orchestra in action. Whether by communicating on a more emotional level through our brand music called ‘The Sound of Shell’ used in our communications and branded experiences. 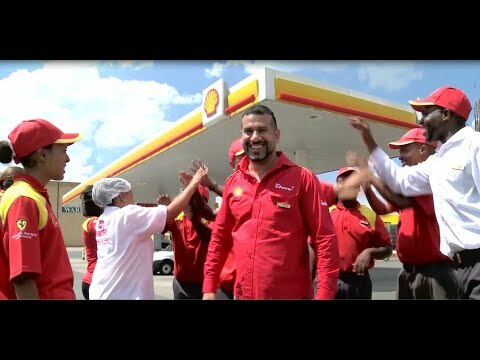 Footage of Shell experiential activities displays on screen. 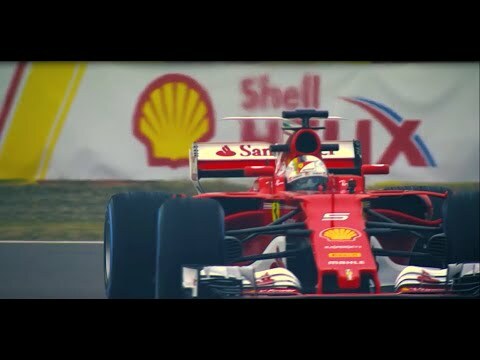 The majority of the footage is from Shell Make the Future Live events across the world and Shell Eco-marathon. Or through the exciting experiential activities we host. This is the Shell brand in action today, and as the world around us continues to change and evolve, so too will our brand and our business. This short video provides an overview of Shell’s involvement in pioneering human flight at its inception, as well as how it helps to power future innovations in flight today. Historical black and white footage shows men standing on a beach watching a propeller plane about to take off. The plane subsequently takes off, the onlookers look up at the sky in awe, and the camera pulls back to show the plane flying in the sky above the people and their cars. A sequence of images of various historical Shell print advertisements related to flight and aviation are shown on screen. We have fueled, financed and supported many of the pioneering flights. Making the Shell brand a core part of aviation history. Black and white animated sequence shows a map of Europe and Africa with an animated line travelling from London to Cairo. This is followed by historical black and white footage of men filling up airplanes with Shell fuel. As we travel further and faster than ever, Shell Aviation continues to build on our heritage. Historical footage of a scientist working in a Shell fuels laboratory, followed by a plane taking off from a runway with a Shell refueling truck in the foreground, and a plane flying in the clouds. Modern day footage of Shell scientists working in Shell laboratories. Deploying our people, expertise and pioneering spirit to reach new benchmarks of efficiency and sustainability. Shell fuel in a beaker followed by a Qatar plane sitting on a runway at sunset, being fueled. It subsequently takes off from the runway. From cleaner-burning fuels to powering the world’s first commercial plane with natural gas. Sequence of three pieces of historical footage showing people deplaning and boarding planes around the world and at various points in time. A plane takes off from a runway, shown from the perspective of someone watching from below. 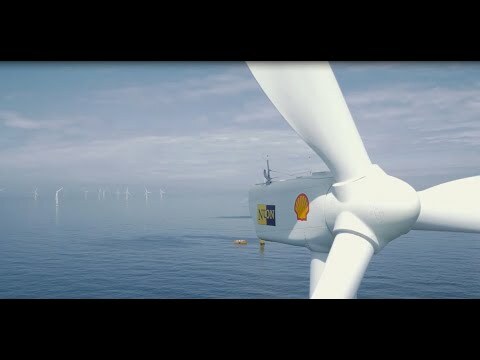 This short video provides an overview of Shell’s innovations and breakthroughs in the world of energy, and how Shell has been at the forefront of advances in current and future fuels. Historical footage of oil wells, Shell fuel delivery trucks, and offshore rigs is shown on screen, followed by footage of a modern day footage of plants supporting gas production. We have been working to meet the world’s energy needs with innovative technology and ideas since 1907. An Airbus A380 powered by natural gas sits on a runway and then takes off into the sky. Wind turbines turn with blue sky in the background. The camera then pulls back to show that the turbines are offshore, surrounded by sea and other wind turbines turning in the wind. …to investing in ground-breaking renewable sources. We collaborate with others to drive progress. Various sequences of footage show crowds of people walking on busy streets. This is followed by footage of cars and bicycles driving down busy streets, and hyperlapses of a busy modern world with cars and people rushing from place to place. The world’s population will soon grow to 10 billion, presenting us all with our most urgent challenge yet. Footage of cityscapes in the developing world, followed by a beach at sunset. Because building a better life for more people increases the demand for energy. But how do we balance this with the urgent need to curb CO2 emissions? Sequence of footage showing Shell-sponsored innovations in action, including a small boy using GravityLight and a man lighting a cookstove powered by bio-bean. By being more innovative than ever before. By not only using energy in smarter ways, but generating it more sustainably, too. Aerial shot of a busy street in the developing world, followed by an aerial shot of a busy street in the developed world, surrounded by sky scrapers. To keep our demands, our lives, and our world moving and evolving. Shell employees sit in a conference room, appearing to be in deep discussion whilst wearing 3D glasses. This is followed by shots of television screens in a laboratory, the Prelude FLNG at sea, Shell engineers working on site, and finally people in silhouette against the backdrop of a developed city at sunset. Working with the brightest minds to do things differently and better, all with the aim of creating more and cleaner energy solutions for the generations of tomorrow. This short video provides an overview of Shell’s involvement in the ever-evolving world of transport. 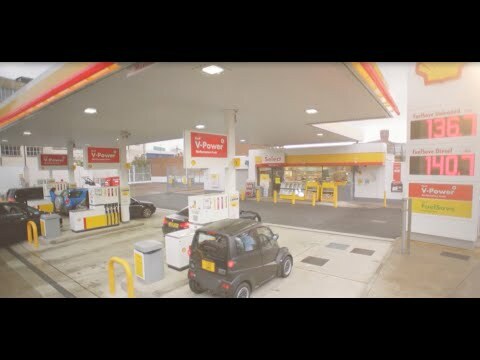 The film takes you from the time when cars became readily available to everyday people, right up to today as Shell are investigating and innovating in the realm of more efficient transport. Black and white footage of a Shell station attendant holding a petrol pump and singing. Black and white footage of a Shell patrons singing, followed by the Shell Pecten reading ‘Super Shell’, various ICA logos, and a family driving in an open-top car. A series of stills showing historical Shell advertisements, followed by historical footage of one of the first cars on the road pulling in to a Shell service station. This is followed by various historical shots of Shell filling stations. The 1920s saw a revolution on our roads. Cars became affordable. Petrol stations appeared. Suddenly, motoring was accessible to more people. A still photo of a man delivering Shell oil by horse and cart is shown, followed by historical footage showing the same. This is followed by more black and white footage, this time showing a motorist pulling into a Shell filling station. Shell has been by the side of motorists from the beginning, encouraging drivers to climb in, get out and explore. A brochure is shown on screen that reads ‘Northumberland Durham Shell Guide’, followed by another brochure entitled ‘Devon Guide’, and finally a man in a lab coat speaks to camera promoting these guides as part of a historical Shell advertisement. Historical footage of cars on a road race, driving down the road and then crossing the finish line with flags waving to indicate victory. A man with headphones and a microphone speaks to camera as he hovers above a moving car on the road, just below him. Footage of modern day fueling stations featuring energy-saving innovations and fuel-efficient cars of the future. …both for the environment and for keeping motoring accessible. The camera pans across a series of technical drawings showing cars and engines. Footage of filling stations featuring Shell LNG and Hydrogen fuels is shown on screen, followed by a Shell-sponsored Hydrogen-powered city bus and a truck carrying Shell LNG. Man and chorus sing as part of a historical Shell television advertisemtn. Black and white footage of a car driving along a winding road as the Shell Pecten begins to rise over the horizon and then eventually travels to the foreground of the screen. The advertisement ends with a graphic featuring the Shell Pecten and the slogan, ‘Go Well – Go Shell’.